This online course is the National Worker Protection Standard: Web-Based Training for Trainers of Agricultural Workers and Pesticide Handlers. The course was developed by the Pesticide Educational Resources Collaborative (PERC) through a cooperative agreement (agreement #X8-83616301) between the U.S. Environmental Protection Agency’s (EPA) Office of Pesticide Programs and the University of California Davis Extension, in collaboration with Oregon State University. Approval number EPA WPS TTT W/H 00030. 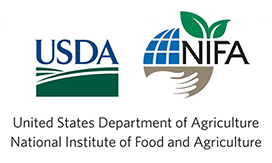 This course provides the information required to train those who will train agricultural workers and pesticide handlers under the U.S. EPA Worker Protection Standard (WPS). It will guide you through the necessary procedures to provide agricultural workers and pesticide handlers with required information on how to avoid exposure to pesticides and pesticide residue. Browser: Strongly recommended to use Google Chrome or Mozilla Firefox. Strongly discouraged: Browsers other than those listed above. Others may work but have experienced performance issues in testing (e.g., Internet Explorer, Microsoft Edge, etc.) eXtension is not able to respond to troubleshooting inquiries if customers are using a non-recommended browser. For more information, contact PERCsupport@ucdavis.edu.